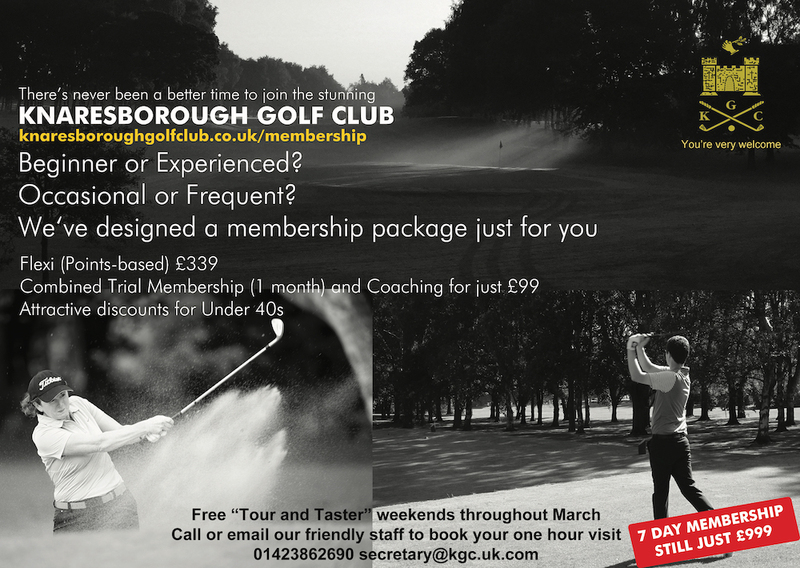 Course and clubhouse enhancements for 2019 mean there's never been a better time to be a member of Knaresborough Golf Club. Our range of membership categories means there's one to fit the way you want to play your golf. And as you'll see, yet again in 2019 we've managed to keep our subscription levels incredibly competitive. Remember, that while the membership year starts in April, you can join at any time and pay pro rata. For more information about which category of membership best suits you, visit our guidance page or speak to our friendly Club Manager who can provide help and advice. Most people who join on the entry-level Flexi scheme find they need to buy more points. FlexiPLUS fills that gap, offering golf at a significantly reduced rate per round compared with either Flexi or Flexi with top-ups. Flexi and FlexiPLUS schemes offer access to selected club competitions as specified in the TERMS AND CONDITIONS. Saturday morning exception applies. Note: All prices for playing members subject to additional insurance and governing body fees at prevailing rate.